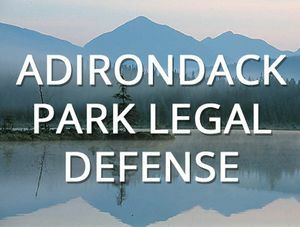 When necessary, the Adirondack Council contracts with attorneys to obtain pertinent legal research or takes legal action to uphold constitutional protections and agency policies established to protect the Adirondack Park. We work with an array of attorneys with expertise in the Forever Wild clause, the Adirondack Park State Land Master Plan, federal railroad and telecommunications law, state and federal clean air and water laws, etc. Together with strong science, legal expertise is critical to the Council’s efforts to ensure the ecological integrity and wild character of the Adirondack Park.